At the start of studies on health communication, scholars were primarily concerned with showing the ethical implications of a new approach to care and with collecting evidence to demonstrate its greater effectiveness as opposed to the paternalistic and mechanistic paradigms. Well into the second decade of the 21st century, different issues need to be addressed. Aging populations and the spread of chronic diseases are challenging the sustainability of health care systems worldwide; increased awareness of health issues among the population and greater citizen participation seem to threaten clinicians’ authority. In this new scenario, it is acknowledged that the quality of verbal communication plays a crucial role, but it is still not clear how it impacts on the outcomes of care, which are its constitutive components and how it interacts with the institutional, cultural and social context of interactions. This book suggests that the time is ripe for a fresh start in health communication studies. 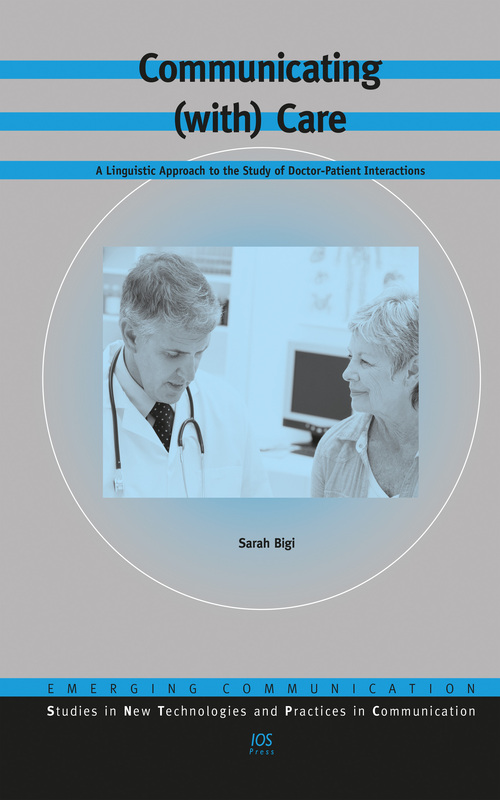 As Debra Roter points out in her foreword, this proposal “is ambitious in attempting to integrate perspectives derived from pragmatics and argumentation theory with those derived from quantitative methods of medical interaction analysis and its prediction of outcomes”. On the other hand, as Giovanni Gobber explains in his foreword, “health communication can profit from an application of a performance-oriented linguistic analysis that pays attention to the role of the various relevant context factors in speech events related to specific activity types”. In this way, the open questions regarding communication in medical encounters are considered under a new light. The answers provided open up novel lines of research and provide an original perspective to face the new challenges in medical care.